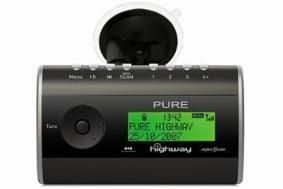 Halfords to offer £100 in-car digital radio package | What Hi-Fi? The retailer also plans to launch its own-brand digital in-car radio systems by Christmas. Just one percent of cars on the road can currently tune into digital radio signals - and motor manufacturers have only pledged that 'most' new cars will be digital-enabled as standard by 2013. Halfords estimates the potential market for digital in-car radios to be worth £2 billion.